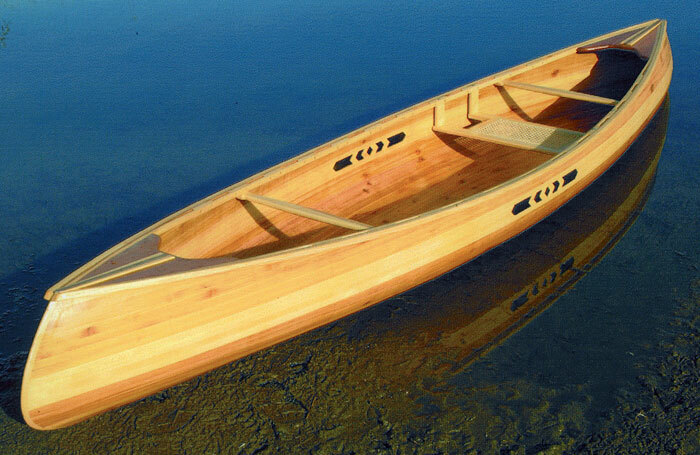 Mike Magnusson built this solo wood-strip canoe for his son Stephen, using cedar strip planking and ash for the trim and seats. He used maple and wenge for the mosaic design on the side, and lacewood for the bow and stern decks. Fiberglass cloth and epoxy cover the boat inside and out. He purchased the plans for a Kooteny Tandem by Bruce Kunz from the Minnesota Canoe Association, but Mike modified it quite a bit. His canoe is shorter, narrower, and has an additional inch of rocker, as well as inner and outer stems. The length is 12' 6", with a beam of 32". Stephen Magnusson plans to use it on lakes and rivers in Minnesota and Wisconsin near their home in Minnesota. Find Mike at Magnusson_M@msn.com. 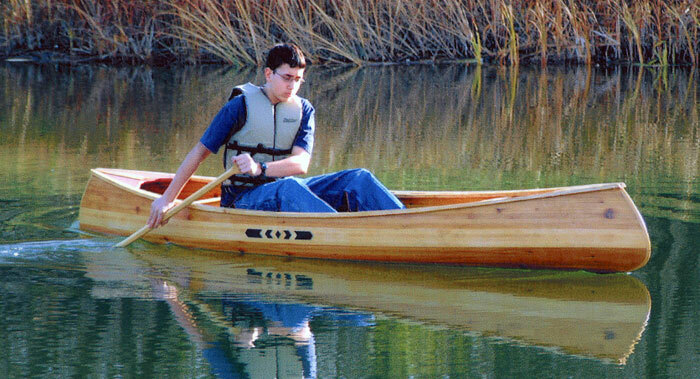 Son Thomas is pictured, a kayak is in the works for him.